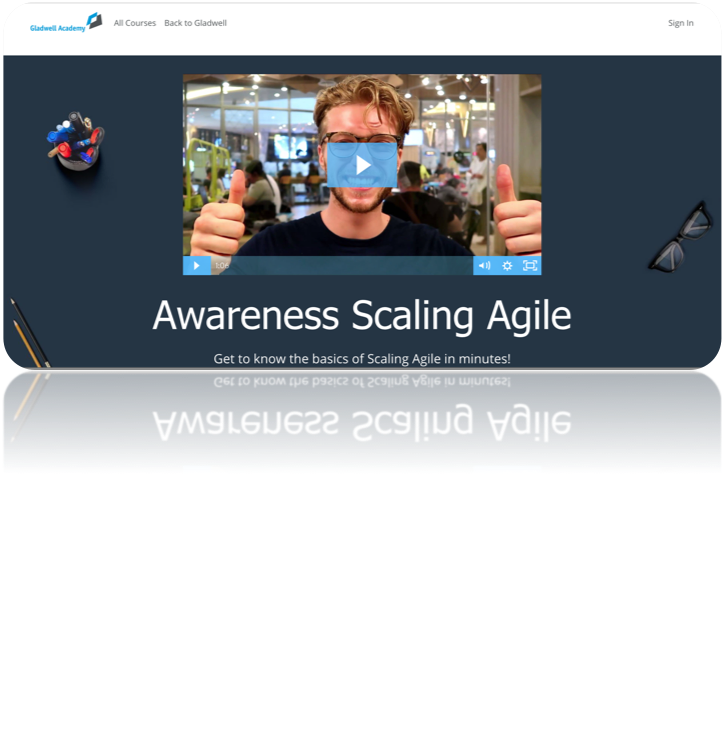 This course teaches the Lean-Agile principles and practices of the Scaled Agile Framework (SAFe). The participants will learn how to execute and release value through Agile Release Trains, how to build an Agile Portfolio, and how to lead a Lean-Agile transformation at enterprise scale. The participants will gain an understanding of the Lean-Agile mindset and how to apply the principles and practices of SAFe to support Agile teams, programs, program portfolio management, and to coordinate large Value Streams. During this two-day course, attendees will gain an in-depth understanding of the Agile Release Train (ART), how it delivers value, and what they can do to effectively perform their role. They will also learn how to apply Lean thinking to write Epics, break them down into Features and Stories, plan and execute Iterations, and plan Program Increments. During this two-day course, attendees will gain an understanding of the role of a Scrum Master in a SAFe enterprise. Unlike traditional Scrum Master training that focuses on the fundamentals of team-level Scrum, the SAFe Scrum Master course explores the role of the Scrum Master in the context of the entire enterprise, and prepares attendees to successfully plan and execute the Program Increment (PI), the primary enabler of alignment throughout all levels of a SAFe organization. During this two-day course, attendees will gain an in-depth understanding of the ART, how it delivers value, and what they can do to effectively perform their role using Scrum, Kanban, and XP. They will also learn how to write stories and break down features, plan and execute iterations, and plan Program Increments. Finally, they’ll learn about the continuous delivery pipeline and DevOps culture, how to effectively integrate with other teams in the program, and what it takes to continuously improve the train. Gladwell Academy is well-experienced in developing e-learning courses. For example, we recently developed an open enrolment e-learning course in collaboration with Scaled Agile Institute (SAI), the creators of SAFe, and a tailormade inhouse e-learning course for agile awareness at Philips and Etihad Airlines (Emirates).